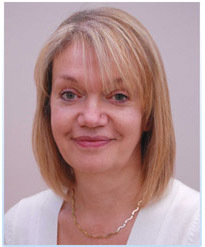 Sheila has been a fully qualified clinical hypnotherapist since 2002. She has helped many people to make successful changes in their lives, sometimes dealing with issues that they have had for a long time. I was depressed and had not worked for seven years. My life was going nowhere. Now I am back in control. - John. Sheila is caring, professional, well-liked and easy to talk to. She will listen patiently and sympathetically while you tell her about the changes you want to make. Sheila is well respected, not just by all the people she helps but by other health professionals including GPs, midwives, and cardiac specialists who regularly refer clients to her, especially where heart and cancer anxieties are concerned. a member of The Smoking Cessation Institute and is NHS registered. Sheila is a qualified and experienced HypnoBirthing® practitioner, who over the last eight years has taught many mums and dads-to-be how they can be in control during the birth of their baby. Sheila helps them to understand just what happens during labour and birth and teaches them breathing and relaxation techniques so that mum, dad and baby can have the best birth possible. For more information go to Sheila’s website www.gentlebirth.co.uk.